Mistake-proof Ulok installation system design allows you to perfectly align the walls, slip them together and lock them into place. Practicality plus affordability. Made of a high-gloss, acrylic composite for looks and strength, this enclosure features an EverClean<sup></sup> surface that inhibits the growth of stain and odour-causing bacteria, mould and mildew. Six extra-deep shelves provide ample storage. For use with a 60" x 30" American Standard bath tub and door. 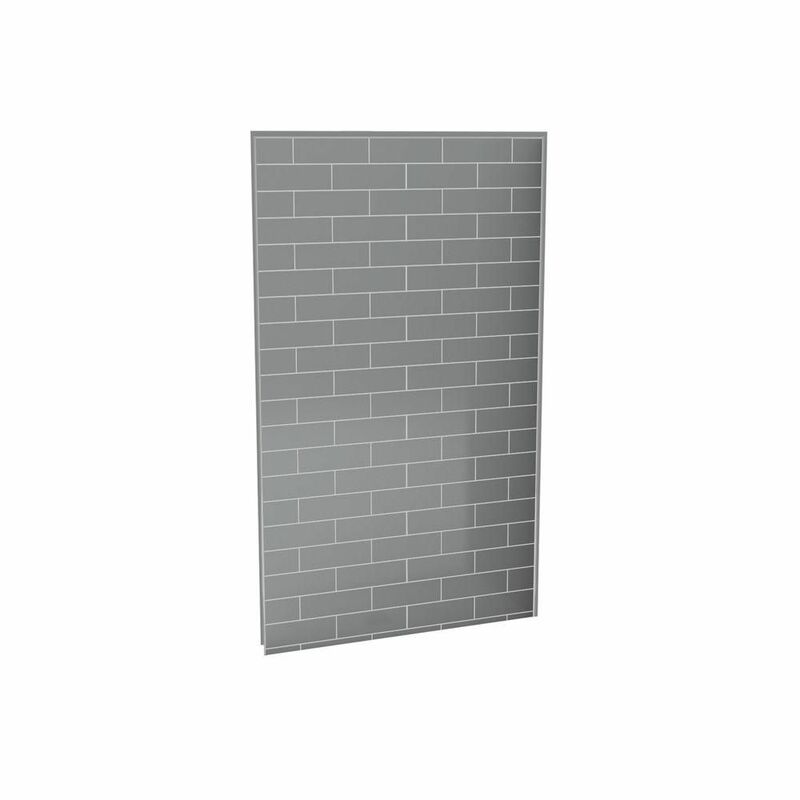 Complete your shower makeover with a QWALL shower backwalls panel. DreamLine shower doors can shave years off the look of any bathroom. Pair your new shower doors with a QWALL shower backwalls to create a dramatic transformation. Combine an optional DreamLine shower base with the back wall panels to finish the project. Panels can be trimmed up to 4 inches in width and up to 10 inches in depths to perfectly fit your shower space. The versatile backwall panels are made of durable and attractive Acrylic/ABS materials and are easy to install. With a tasteful tile pattern, the panels are a cinch to maintain with no grout to clean. Streamline your bathroom renovation and choose a QWALL shower backwalls panel to complement your DreamLine shower doors. Keystone by MAAX Urbano 3-piece white acrylic wall set is the perfect alternative to costly ceramic tiles for the Urbano 4832 low threshold base. This smooth, easy to clean wall set has 2 soap dishes and 4 shelves for ample storage, as well as 2 footrests for convenience. Perfect for that do-it-yourself bathroom renovation. Utile 48-Inch Back Wall in Metro Ash Grey Create a sophisticated bathroom space with unparalleled ease and speed. Utile by MAAX is an innovative shower wall solution that comes in a range of rich colours, deep textures and stylish patterns that look and feel like tile, yet installs easily in just 1 day versus 3 days for standard ceramic tile.